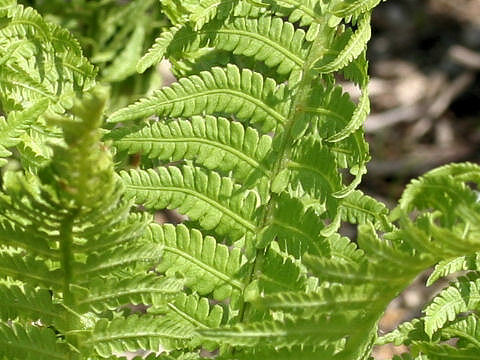 Ostrich fern (Matteuccia struthiopteris) belongs to the Woodsiaceae family. 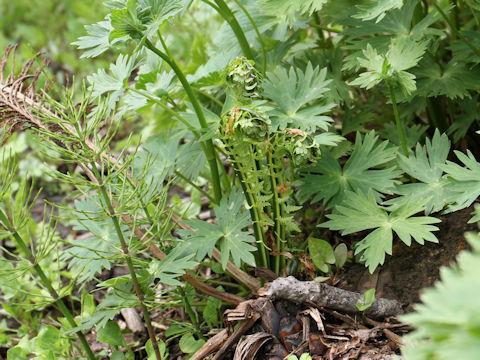 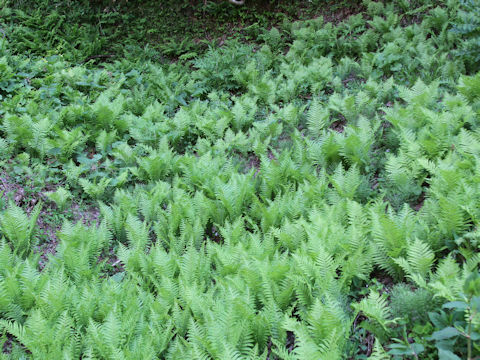 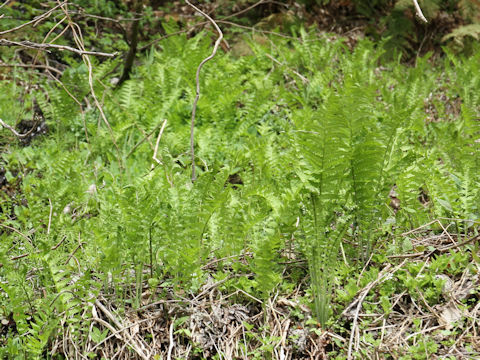 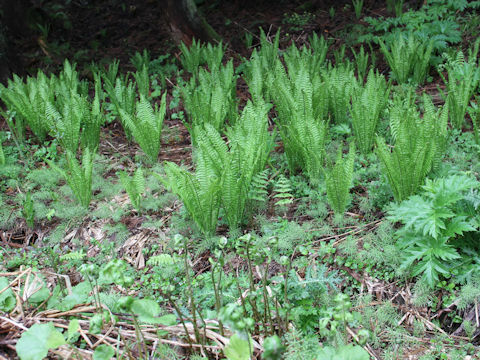 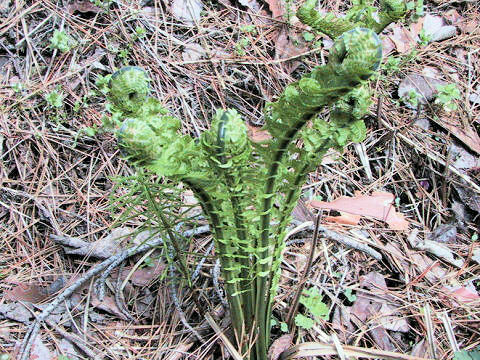 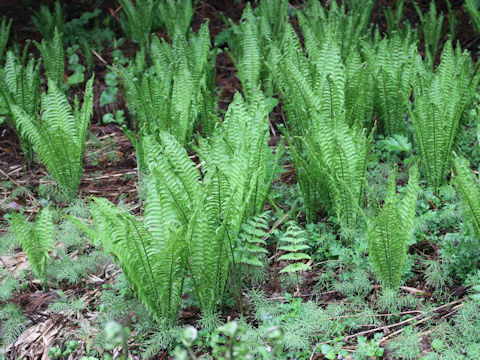 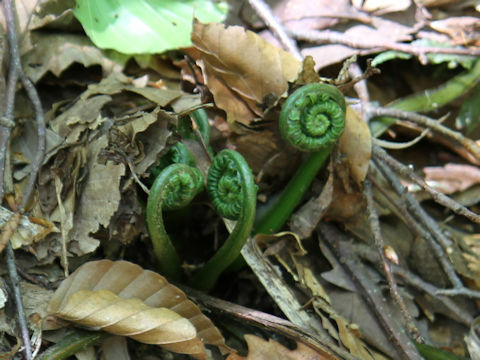 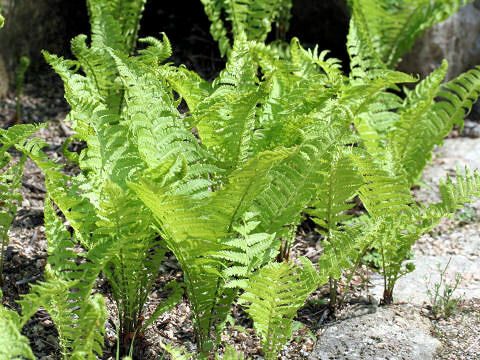 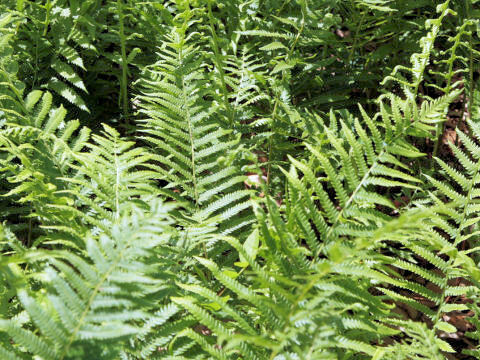 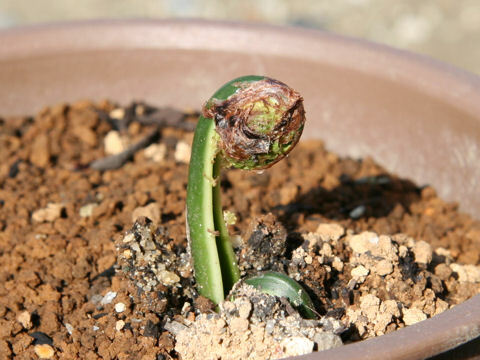 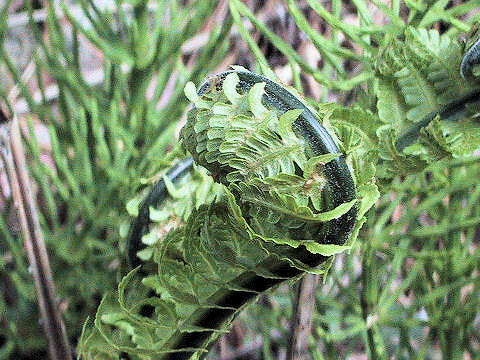 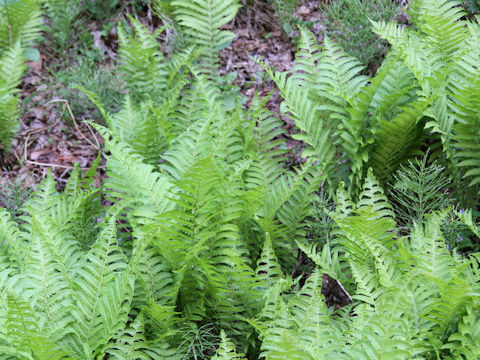 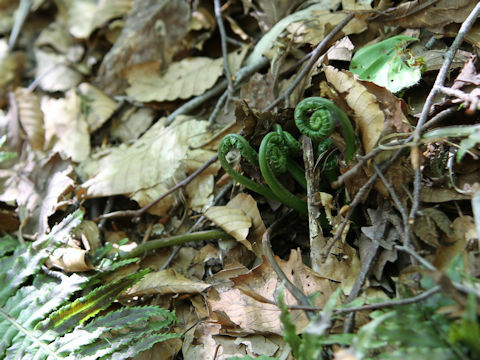 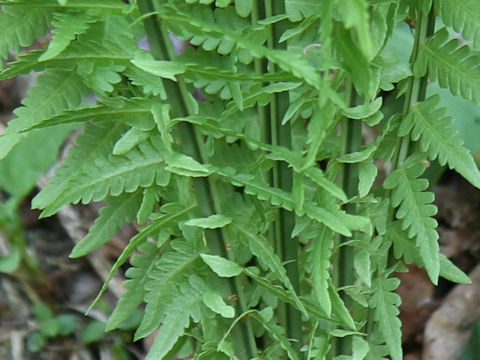 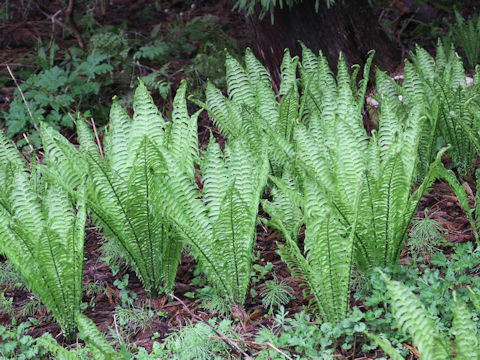 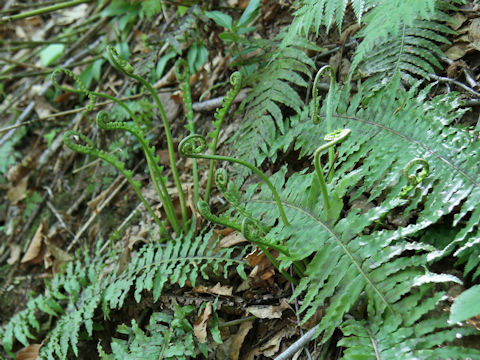 It is a fern that is distributed widely throughout Japan and the Northern Hemisphere. 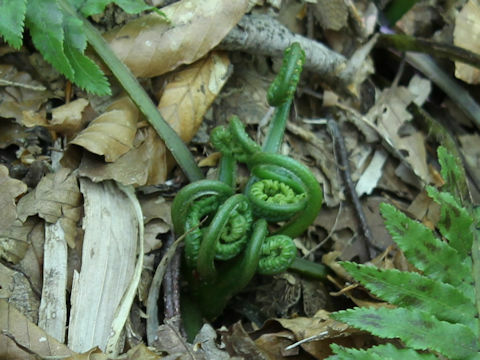 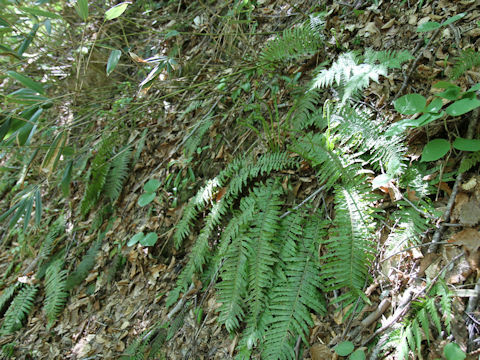 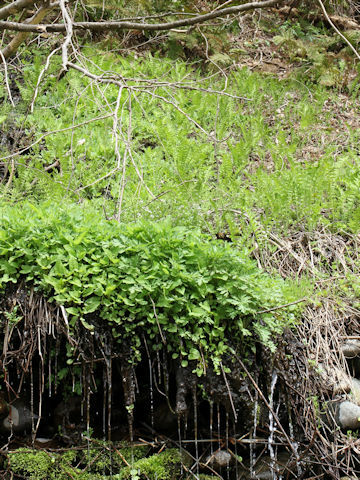 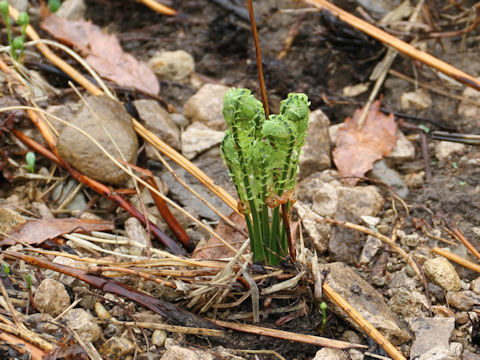 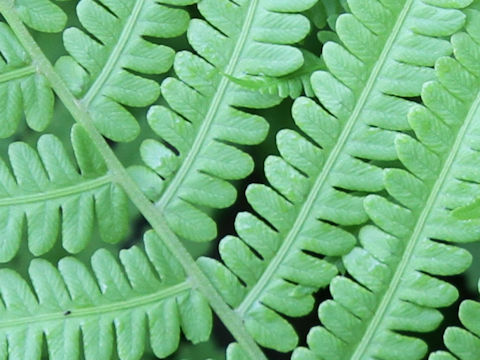 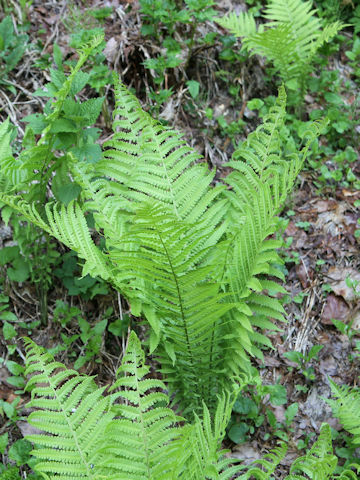 This fern grows in montane forests, along streams and clumping. 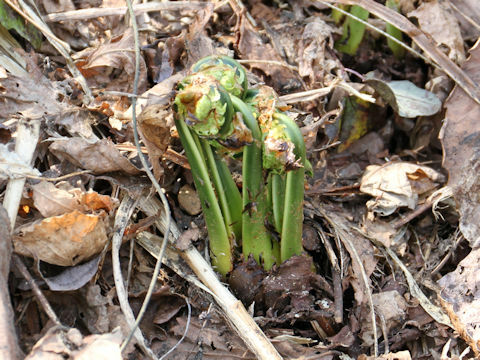 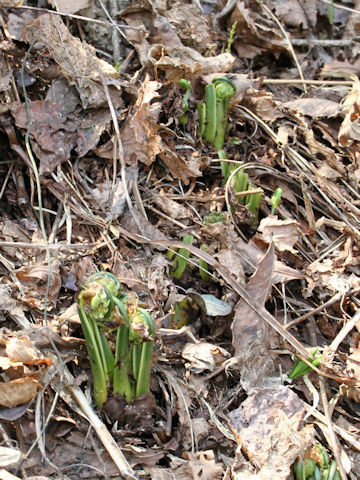 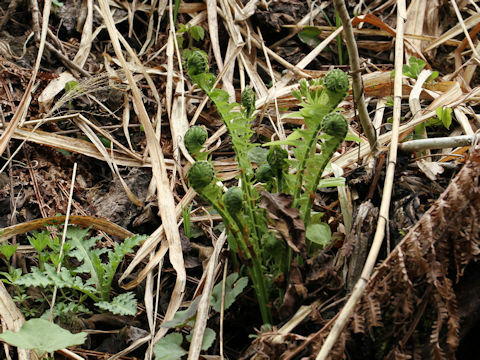 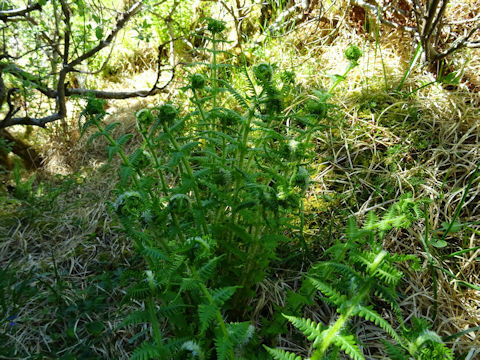 The young shoots are used for wild vegetables in Japan.